Where is Kandersteg Mountain Coaster? 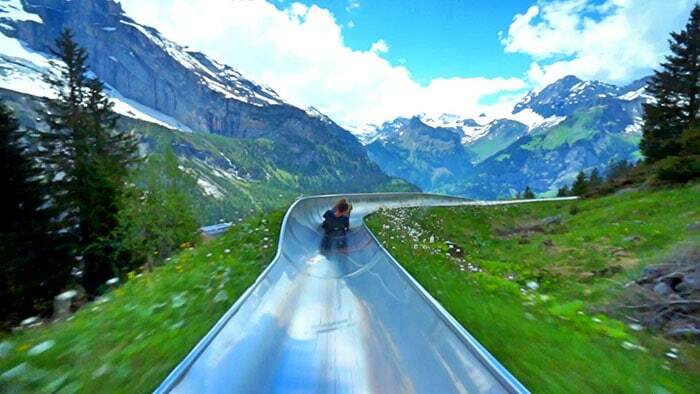 This mountain coaster Switzerland Kandersteg will send you on an adrenaline filled scenic trip down the Swiss alps. 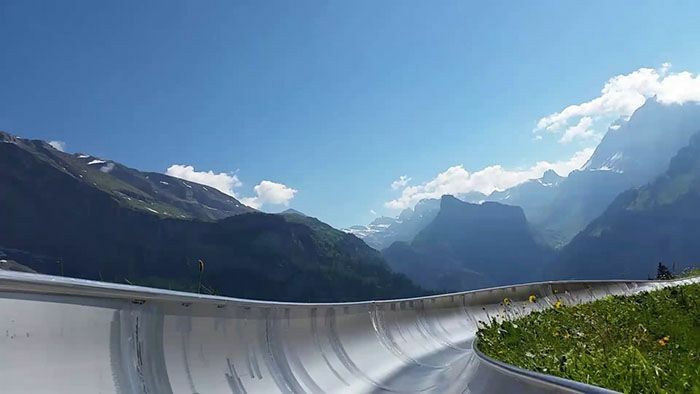 This mountain coaster locally know as ‘Rodelspass’ and is located in the stunning diamond tipped alps of Kandersteg in Switzerland. The track of the mountain coaster stretches 750 meters sending you flying down the swiss alps, with every twist and turn you will be left breathless with some of the best views you will ever see. The scenery is absolutely stunning and with worth the trip alone, not just for the adrenaline rush so make sure you take a GoPro or self stick! (Be safe though). For safety reasons, this mountain coaster is only open in dry conditions from May to October. So if you’re next holiday is to the Alps this summer, be sure to add this to your bucket list. A single ride will cost you 4 Swiss Francs. This ride will keep you coming back for more though! The mountain coaster is located within the lodge cabin ski resort of Hotel Oeschinensee, in the heart of the Jungfrau-Aletsch UNESCO a World Heritage Site. To get to the mountain coaster is located at the top station of the gondola lift Oeschinensee. It’s easy to get to simply take the cable car from Kandersteg to Oeschinen, this takes approximately 8 minutes. If you have more time to spare you could take the 1.5 hour hike through the valley to the top. So if you’re looking for an fun filled adventure holiday with breath taking views then Switzerland is the place for you. Reservations can not be pre booked in advance. You must purchase your tickets directly at the mountain coaster ride. From November to May the mountain coaster ride is closed due to snow. The mountain coaster Switzerland Kandersteg is a sports facility and the use is at your own risk. Insurance is the responsibility of the participants. The system was tested by the IKSS (SIS 110) and was considered safe with a certificate. 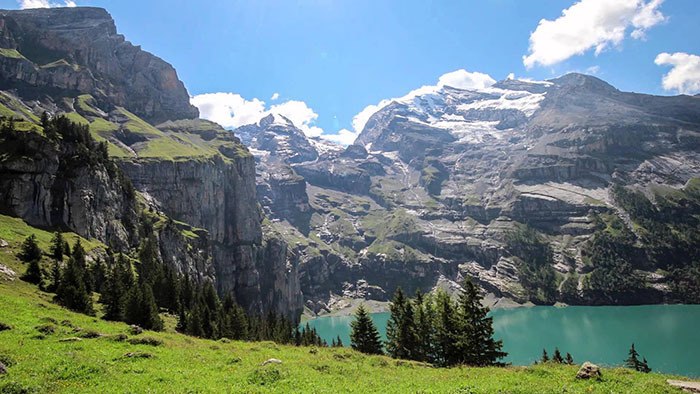 Not only does Kandersteg have the mountain coaster it offers outdoor activities year-round, with hiking trails and mountain climbing as well as downhill and cross-country skiing. Just look at how beautiful this place is, this should be on high up on any travel bucket list!